To create a New Shortcut, click on Admin at the Top of the Dashboard and then click on Shortcuts. Then Choose the Property the Shortcut will be used for. 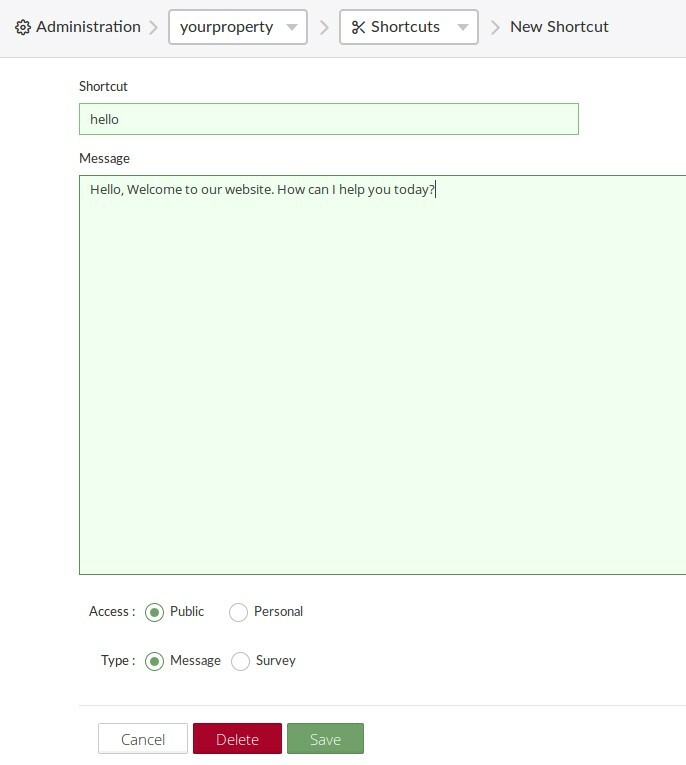 Click on Shortcuts and you will see a screen like the image below. You can Manage Existing Shortcuts here. When you name a Shortcut remember that “hello” and “Hello” will both work but will be treated as two different shortcuts. We recommend using all lower case letters. You can search for Shortcuts or choose them from the list. Click on the Shortcut you wish to edit. Click save after you have made changes. Shortcuts are tied to the property they are setup for. We also allow you to create Global Shortcuts that are attached to Your Account and NOT a specific website or property. 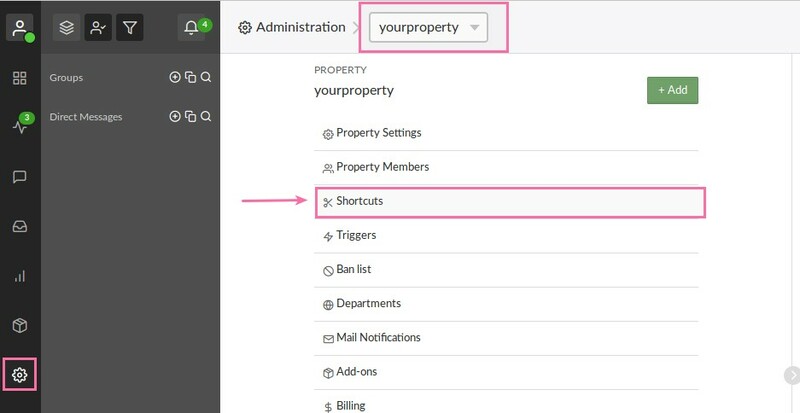 Global Shortcuts can be used by YOU ONLY ON ANY PROPERTY you have added to the dashboard. You can access these by going to My Profile (middle icon top right of the dashboard) then click Global Shortcuts.